Falling tools is one of the major causes of death in the construction industry. 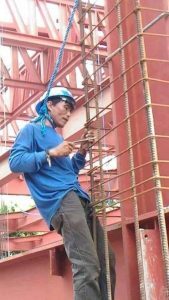 Recently in Brisbane, a scaffold erector dropped his lump hammer from a building in George Street Brisbane. On the way down it hit a section of scaffolding and this caused the hammer to ricochet off at an angle, so it missed the protective awning over the footpath but landed on the street and bounced into a cafe on the other side of the street. Luckily, no one was injured but can you imagine if this landed on a passer-by or even a vehicle? What damage would this have done to the principal contractor’s reputation in an industry already in the spot light over non-conforming building materials and dodgy work practices? I know that over the years in my various renovation projects I have dropped tools including hammers and a pot full of paint. 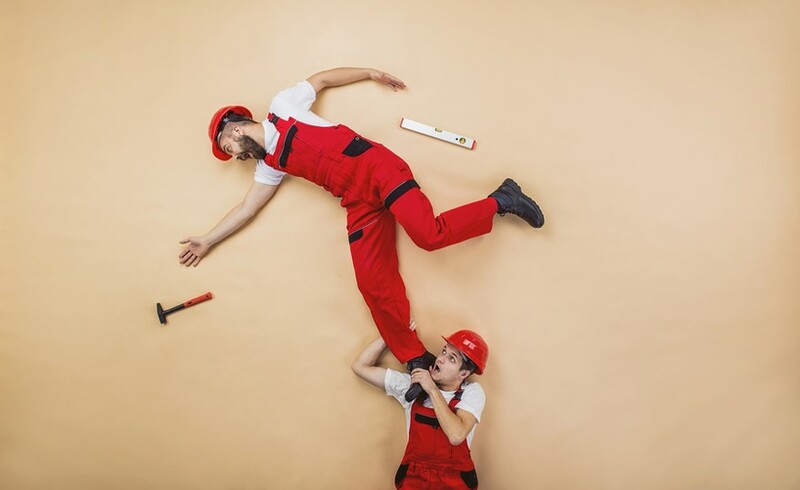 Putting aside the potential risk to human life or injury and to property being hit by the falling tools, there is also the cost to the organisation due to lost or damaged tools once dropped. A drill or other power tool rarely survives a drop from a ladder let alone a scaffold. This week several of us from various parts of the LMI Group met up with senior people from Gripps, a company based here in Melbourne. They have a carefully thought out range of products designed to address these issues. All of us were very impressed and over the next few weeks we will be doing some tests on the equipment and sharing the results on the LMI YouTube Channel. After posting this I receive the following image from a regular reader of the blog who questioned this person’s approach to safety. They were particularly impressed with the fact they were using a hard hard but clearly they need some advice about how to tether yourself should you fall. Thanks Joan for sharing.